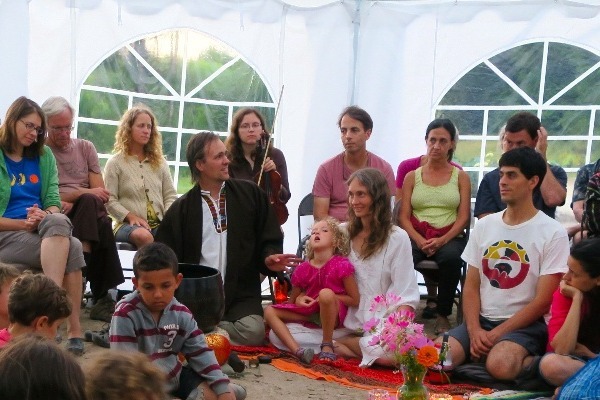 Fundraiser for Morning Sun Mindfulness Center by David Viafora : Help Build the Barn at MorningSun! 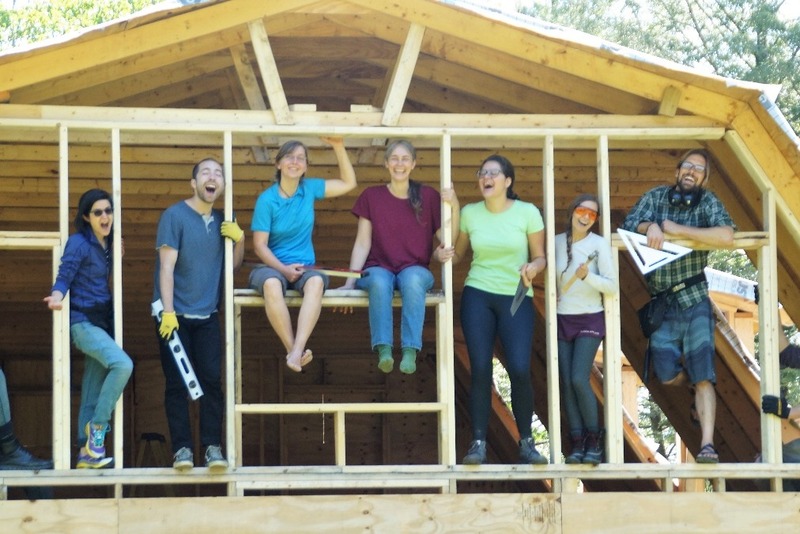 Help Build the Barn at MorningSun! In addition to our Crowdfunding Page, we've received over $39,000 in checks from various individuals and foundations! This brings our total to over $72,000!!! We are steadily approaching the $86,500 needed for completion! Thank you so much everyone for your incredible support! We have some wonderful news to share with you about what is developing here at MorningSun Community, our residential mindfulness center that hosts retreats in the Plum Village tradition of Zen Master Thich Nhat Hanh. 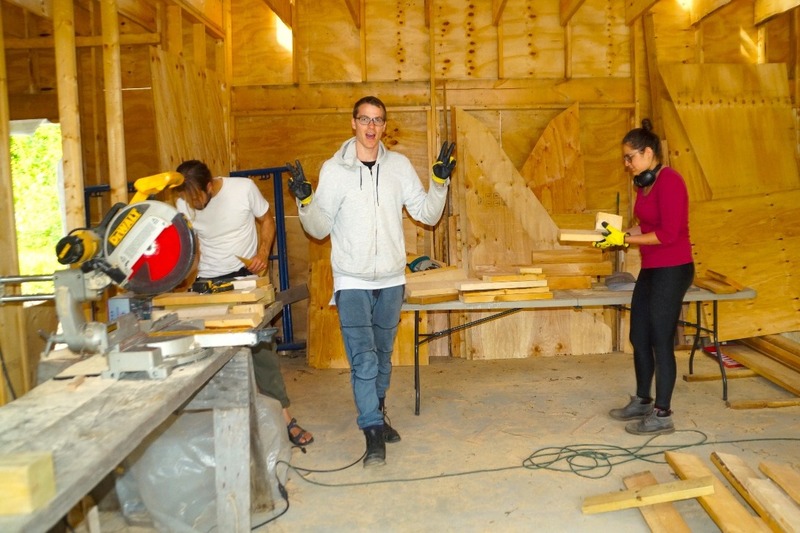 From last year through this entire summer, our team of enthusiastic volunteers, led by Michael and Fern, has been constructing our first indoor retreat facility, "The Barn." The Barn will allow us to move from summer only programming to retreats throughout the year! Our dream of becoming a full retreat center that offers mindfulness programming throughout the year for hundreds to thousands of people is becoming a reality! MorningSun summer program with Michael and Fern, working on the Barn together. Currently, most of MorningSun's annual retreats are offered between May and September due to limited indoor facilities. Few bedrooms are available, and we use an outdoor kitchen, outdoor showers, outhouses and camping sites to accommodate our many retreatants. The Barn will offer accommodations for 13 people. The downstairs will include a full sized kitchen, a multi-purpose meditation hall, a small communal area, and an ADA accessible bedroom and bathroom. 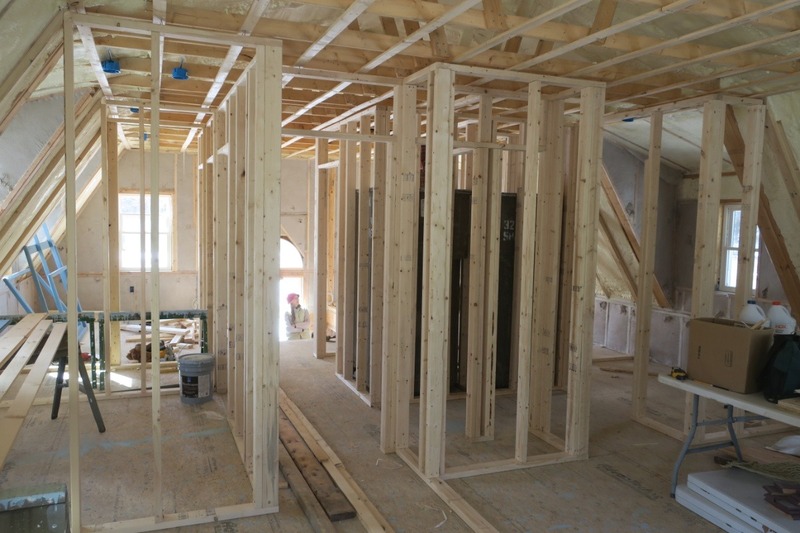 The upstairs will include 5 bedrooms with single, double, and multiple person occupancy, as well as 3 bathrooms with showers. 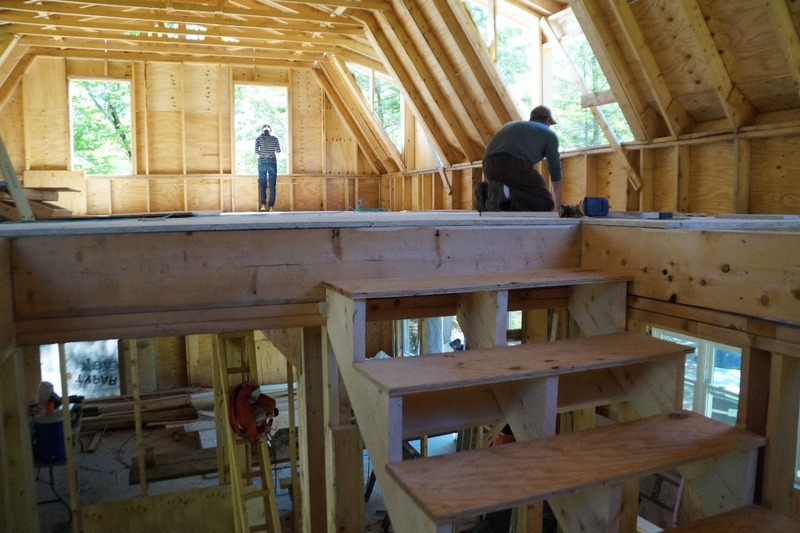 A view of both upstairs future bedrooms and bathrooms, and the multi-purpose meditation hall below. 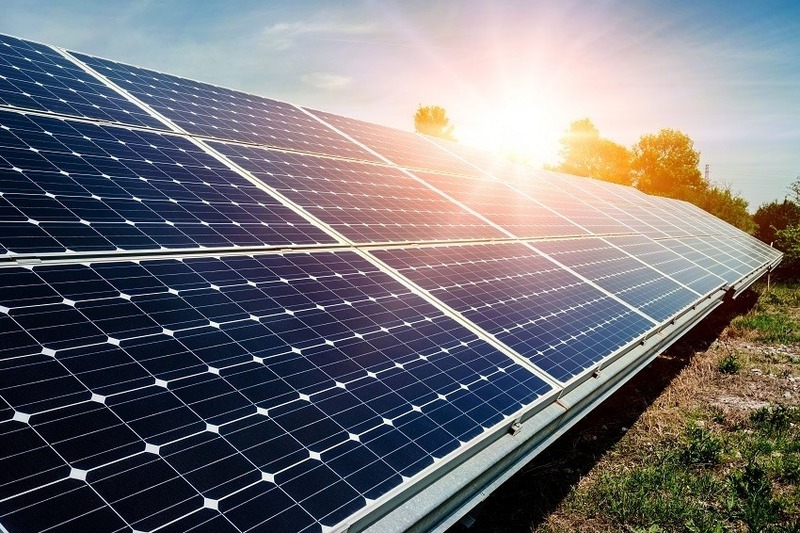 The Barn will be fully solar powered with 18 panels on the roof! We are committed to investing in eco-conscious living for our community, and for our planet. 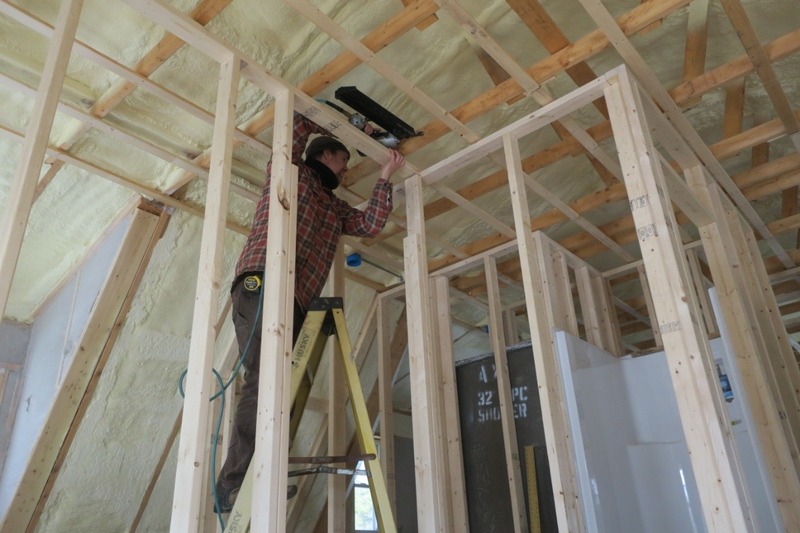 The Barn will have Wifi, heated plumbing, and other accessories for simple, comfortable living. 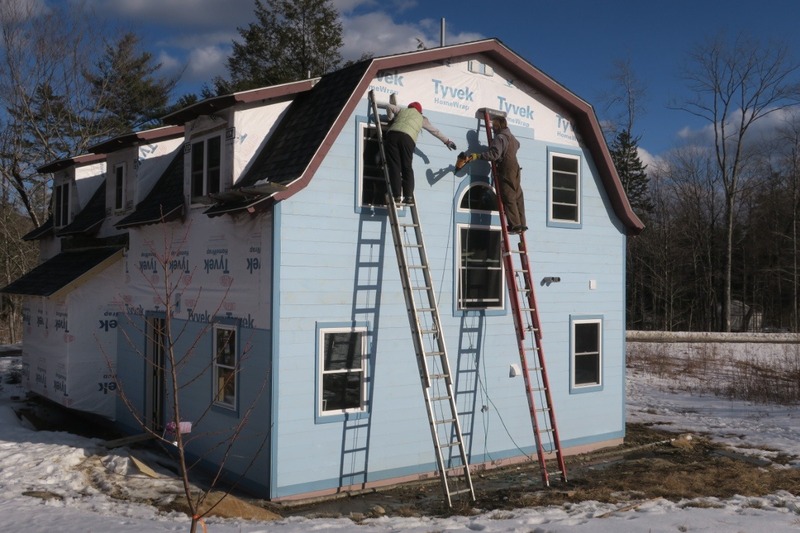 Approximately 80 volunteers have worked on the Barn and more than 25 people have donated money towards materials so far. Over $35,000 have been raised through donations! 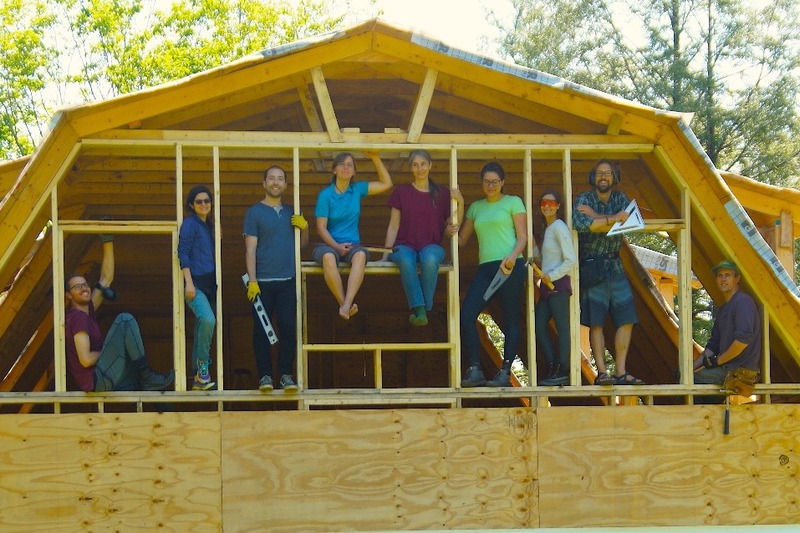 With donations thus far received and the hard work of dedicated volunteers, the foundation , framing, sheathing, and roof have been finished! Michael, Fern, and Jenny working together to build the West side wall and window framing. 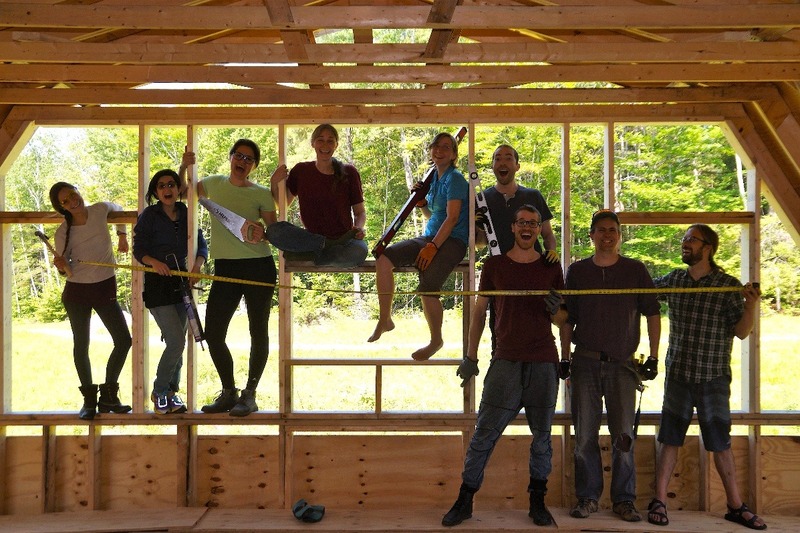 To succeed in our efforts, we ask for your generous support in helping us complete the Barn. Our total budget for building the Barn is $122,500, and we need to raise another $87,500. We are asking our friends and Sangha leaders, to help us in spreading the word about the Barn project. Please share about our ambitious project with your family and friends! Walking meditation during our young adult retreat down to the Barn. $10 Donation: As a token of gratitude for your support, we would like to offer you 3 tracks of Michael Ciborski's album, Reverence. Michael is a gifted musician with an angelic voice, having written many of the chants in the Plum Village tradition. $100 Donation: We offer you one night accommodation in the Barn, when it is completed. We wish for our community to receive the fruits of its own work. $1000 - 10 Nights accommodation in the Barn! 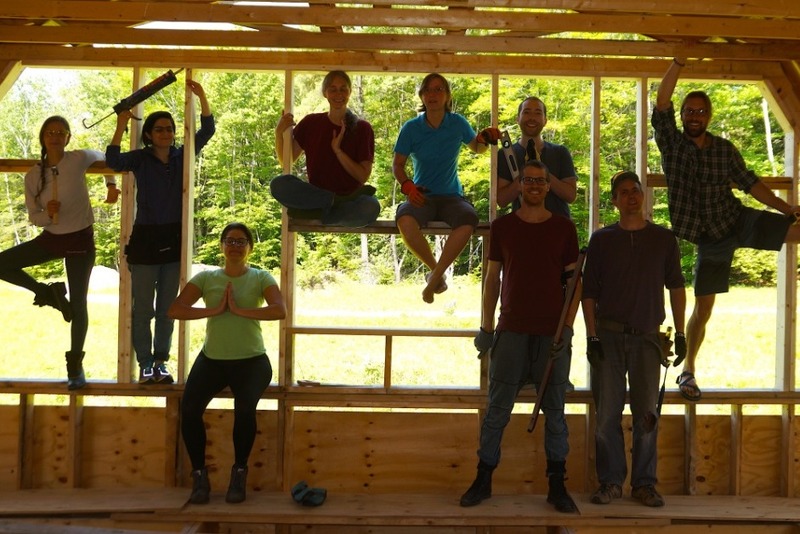 The Mindful Living and Service Program team celebrating their work on the Barn this summer. With all our heart, we thank you for your support in helping make this retreat center possible for all of us. 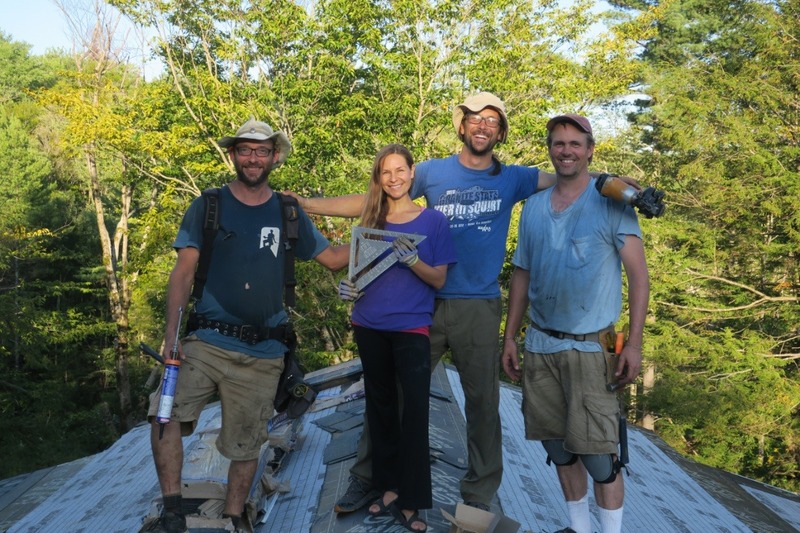 This summer, our team of inspiring volunteers has been picking up hammers, saws, wood planks, and staple guns every weekday to help make this vision a reality. MorningSun's Mindful Living and Service (MLS) program is composed of young adults who aspire to help build our community and explore practice more deeply. Their energy has been remarkable, and their aspirations deep, as they learn how to truly build our beloved community. We enjoy having a lot of fun too!! MLS participants Leo, Andrea, and David enjoy work and good vibes together. Come join the fun!! 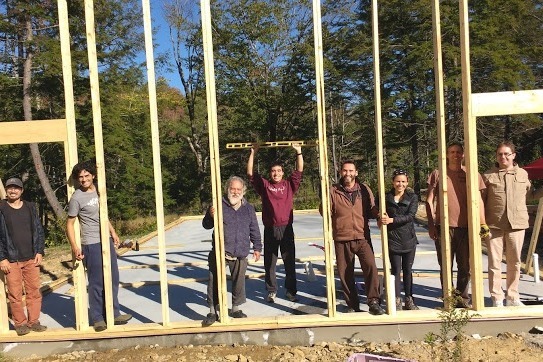 MorningSun's founders and Dharma Teachers, Michael and Fern have been working on the Barn from its inception, from design through construction. 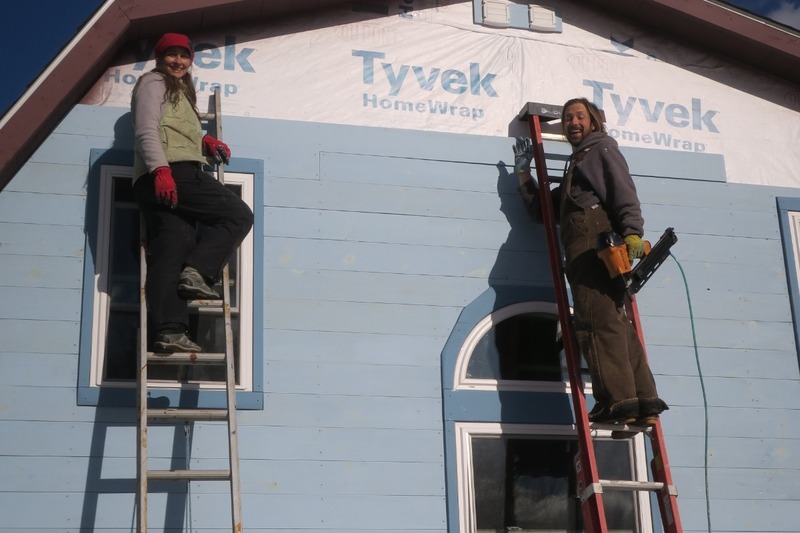 They offer their time, patience and expertise, and have taught the MLS volunteers all the skills we need to continue with the construction, being incredible teachers at every step along the way. 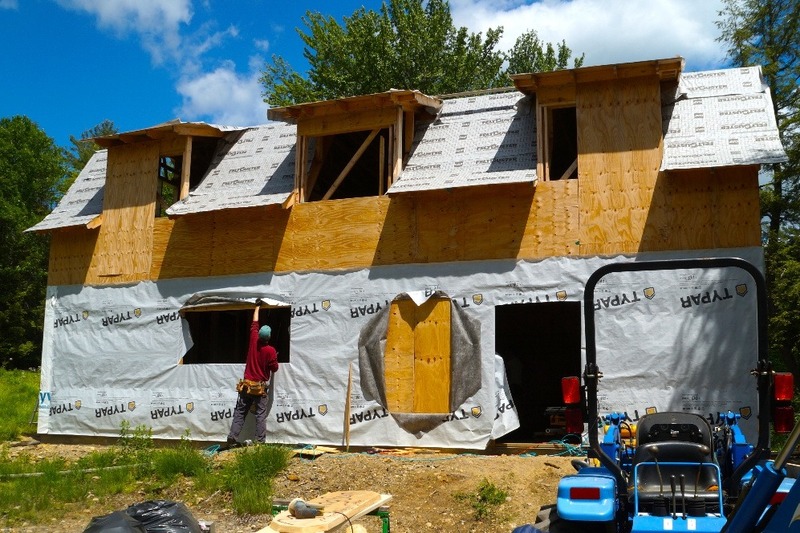 We believe that a minimum compensation for more than a year's work on the Barn is $20,000. Thank you Michael and Fern for all of your selfless dedication and incredible leadership for this project! The MLS summer volunteer team thanks you for your support!!! We welcome you to come and visit us for a Day of Mindfulness held regularly on Sundays, or during one of our retreats. You can see our calendar and register here. All of our programs are based on the practice of mindfulness. Mindfulness allows us to be present with and understand what is happening in and around us in each moment, without bias and judgment. Mindfulness supports stress s reduction, mediation, and conflict resolution, anger management, and turns our ordinary moments into sacred and meaningful experiences. Michael and Fern during the Family Retreat at MorningSun Community. 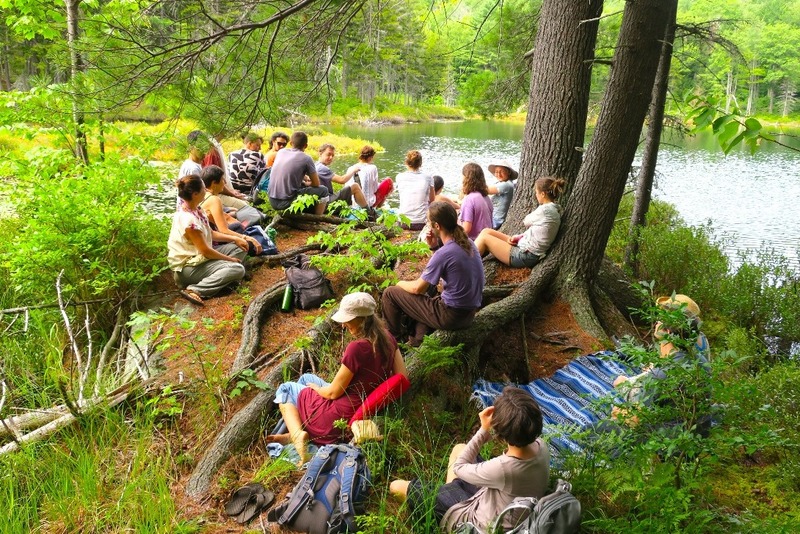 MorningSun Mindfulness Center is located on 250 acres of pristine natural forest. 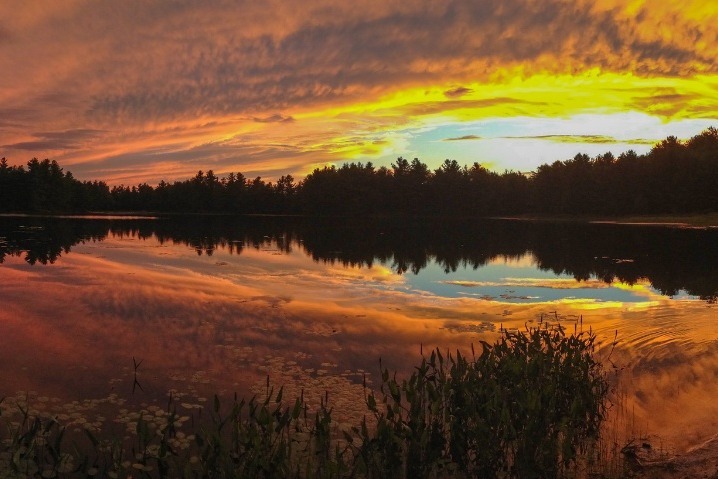 Blueberry Pond is an endless source of beauty and joy for the entire community at Morning Sun. "The more compassionate you are, the more generous you can be. The more generous you are, the more loving-friendliness you cultivate to help the world." P.S. Please check out our MorningSun 2019 Newsletter for an amazing journey through 2018, and to see how the Barn will be used in 2019! 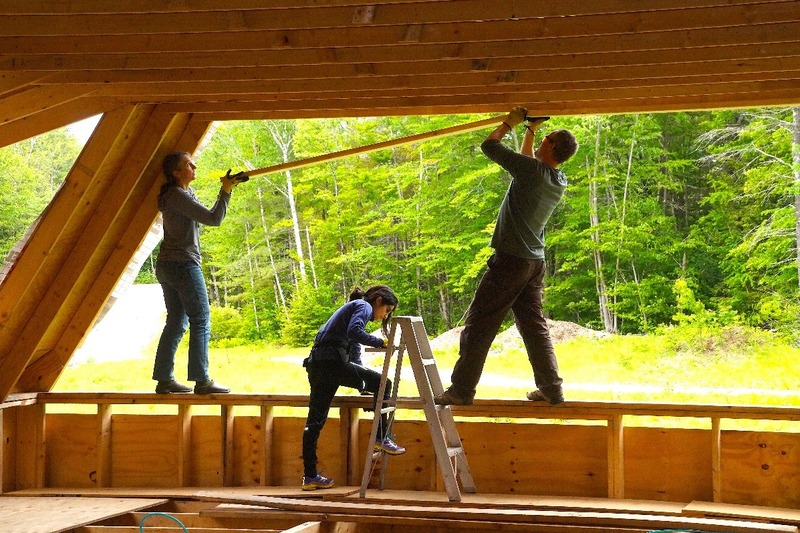 This winter, Michael, Fern, and a few volunteers, have continued to build our beloved Barn. It is surely coming along! And yes, we have met our fundraising goals!! Because of our community’s overwhelming generosity and faith, we have been able to raise enough money to build this beautiful new multi-purpose facility at MorningSun. We are so grateful to have had several significant donations from Sanghas across the US who have helped us to even surpass our initial goal! With all of our heart, thank you for believing both in us at MorningSun and our collective aspiration to build our beloved community to new heights. It’s what our world needs so much right now. By the end of last year, we raised over $33,000 on our GoFundMe website. Combined with individual and Sangha donations as well as foundation grants, we reached a grand total of $92,486! 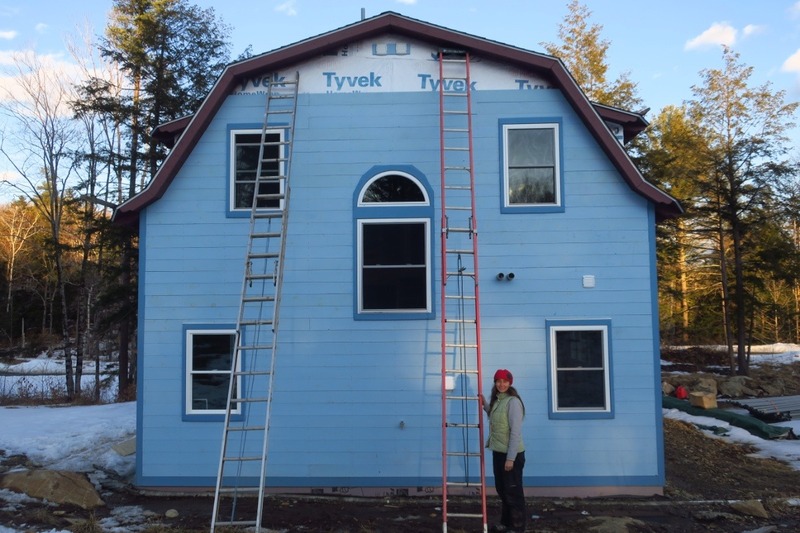 Thus far, we have finished the siding on the West wall, and Michael has nearly finished building out the rooms on the 2nd floor. The insulation is finished throughout the building, and we expect the electricity lines, septic, and well to be completed by this spring. We are hosting an Educators Retreat this summer at the end of June and expect to host people in the Barn! We will let you know when we can host you and your Sangha when it is complete. Also, because of the new Data Protection guidelines, we can no longer access people’s email addresses who donated. One of the few rewards we promised was to send out some new Plum Village chants, composed and sung by Michael Ciborski. If you would like these, please email David at dpviafora@gmail.com and he will send them out within the next few weeks. As we keep moving forward with the Barn’s construction, we’ll keep you close, both at heart, and by camera! From the depths of our hearts, thank you for helping to make this community dream possible. We are amazed to have reached over $65,000 in the last 6 weeks! And thanks to everyone's support, we raised $7,000 in the last week alone! Each of us has made this Barn possible! 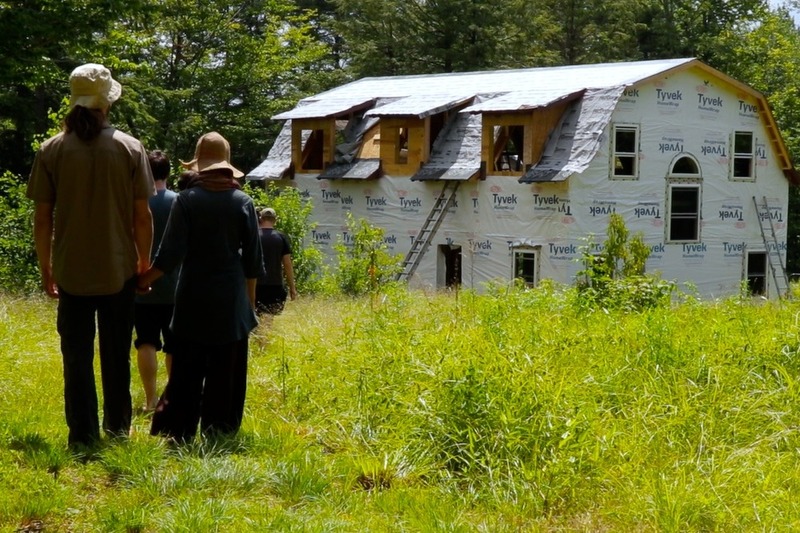 The Barn will be a gift to ourselves, our Sangha community, and to all of our descendants. Those of us at MorningSun Community are beyond grateful and overflowing with optimism about what we can create together. Several more people and Sanghas have shared that they still wish to send in contributions! So we will wait to have a bigger celebration and add up our grand totals until the following week. With the money we have received so far, we can already build the entire Barn! Aside from standard electrical hooks ups and solar panels, the Barn will be fully constructed! Thank you for partnering with us to build a world where transformation and healing are possible. This is our last week of crowdfunding, and because of all your support, we're just about 2/3 the way there!!! Wow, thank you for all of your support! While building the roof last week, our video superstar, Shea Riester put together this awesome short video of our success and construction so far! We hope you enjoy it! This is our last week, and we have this amazing opportunity to build something so beautiful and helpful for our world. We encourage you to share this with your friends and family so that they too have the opportunity to build this center of healing and transformation for our world. Emails are perfect, FB is great too, but there's nothing like sharing in person... so you decide! Peace in the world begins with peace within people. And MorningSun has the capacity to help people touch the deepest seeds of peace and compassion within themselves. So let's do it together!